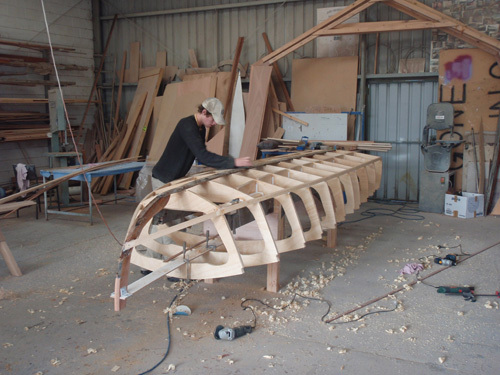 "Vanity" is just one of those dream jobs that occasionally finds a home at our boatshed. Here is a little runabout built in 1952 by a boy and his dad. 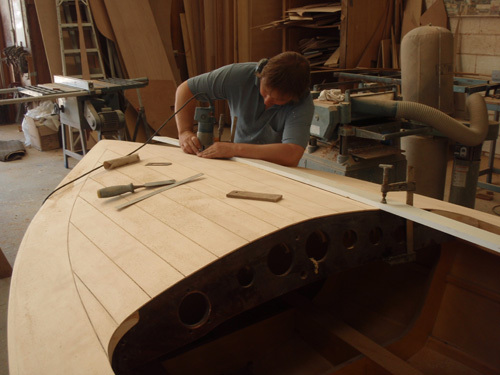 They had boatbuilder Arthur Blay help frame up the chine plywood design they found in a US Rudder magazine and then father and son clad the frame, decked over and fitted a Willy Jeep motor. Young John Marriott then learned to ski behind a boat he and his dad built. 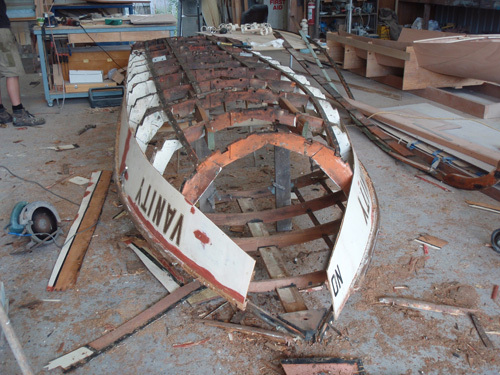 John is now not so young, but he always wanted his boat restored. It had been languishing hanging up in the rafters of his shed roof for years. The jeep motor had long gone, as had a replacement Studebaker 6. In fact there was lots that was long gone. The brief was simple. 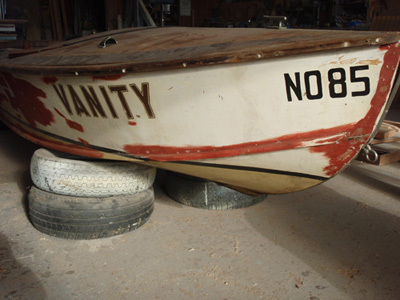 "I want my boat restored, but I also want to fit a Peugeot alloy V6 with a V-drive". 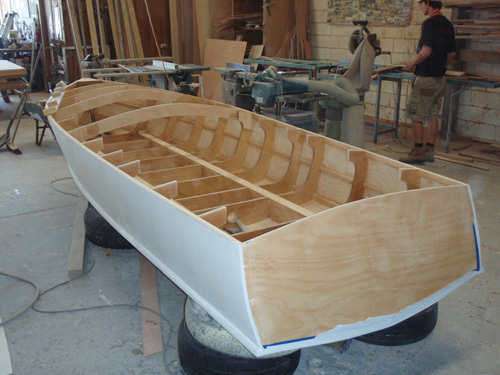 So we braced up the hull and started the slow process of dismantling while endeavouring to retain frame shapes. 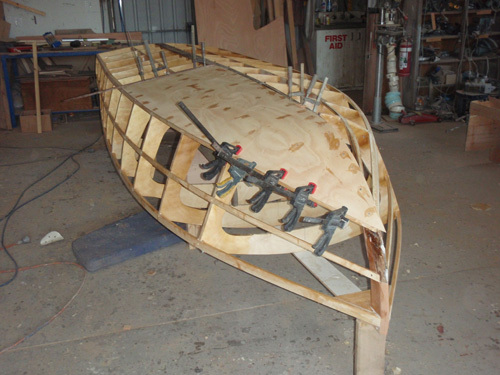 To support the added weight of motor aft we decided to add a few inches of beam aft for increased buoyancy so in profile the boat in frame looks the same but in plan is subtly wider. Patterns were taken and the shapes transferred to 20mm marine plywood ring and half frames ensuring a strong and light construction. It is early days yet.